You’re just steps away from getting a FREE estimate on your support claim(s). Fill out the quick form and your estimate will appear in seconds! How many children do you have under the age 21 with the other person ? What is your total income from all sources before taxes ? Do you live within New York City ? What is the other person’s total income from all sources before taxes ? Does the other person live within New York City ? Disclaimer: This is for informational and estimation purposes only. Although this calculator uses formulas derived from family law, this does not constitute legal advice. Furthermore, based on the facts of your information, the estimate produced here could be higher or lower than the actual amount you may receive when filing your claim. Moreover, depending on the facts of your information, you may not be entitled to any money. This does not substitute for qualified legal advice. If you have a lawyer, please communicate with your lawyer and do not request a lawyer through this process. If you are seeking an attorney, you may request one via this process. 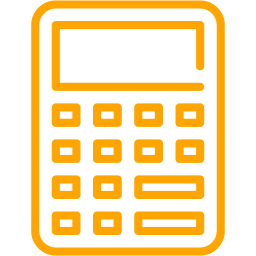 No attorney-client relationship is formed just through the use of this calculator, even if you request to speak to an attorney. ©2017 Ex Pays Support.com. All Rights Reserved.